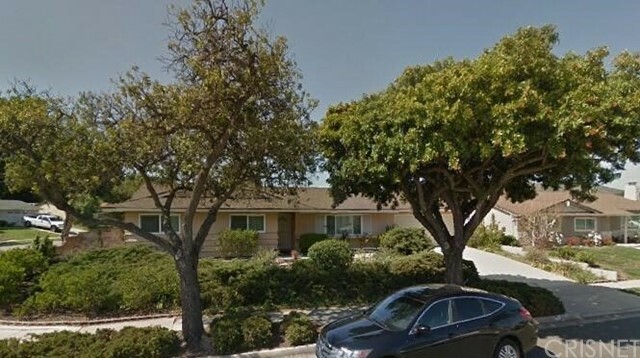 All Newbury Park homes currently listed for sale in Newbury Park as of 04/21/2019 are shown below. You can change the search criteria at any time by pressing the 'Change Search' button below. 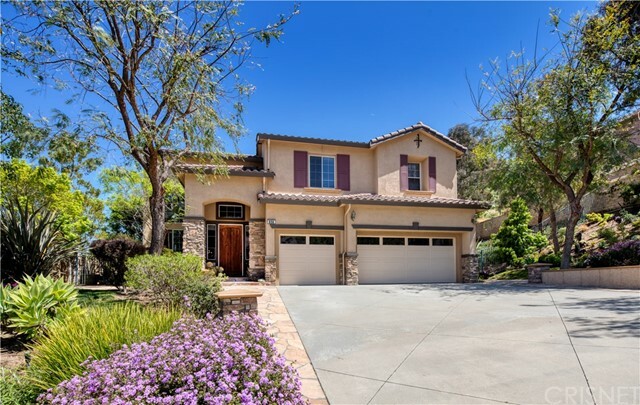 If you have any questions or you would like more information about any Newbury Park homes for sale or other Newbury Park real estate, please contact us and one of our knowledgeable Newbury Park REALTORS® would be pleased to assist you. 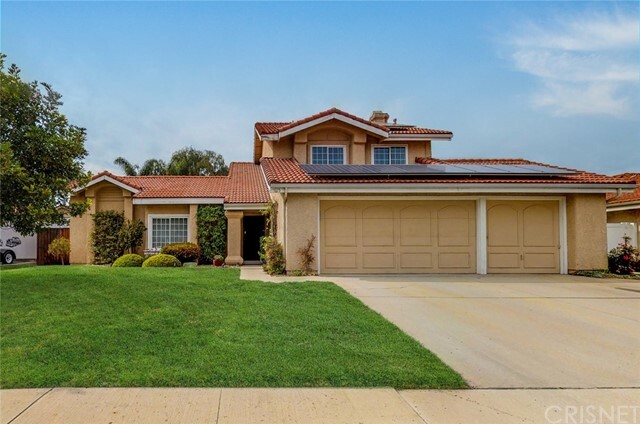 "This fabulous, updated Dos Vientos home features a large downstairs master suite with direct access to the private back yard. Also on the first floor of this warm and inviting home, a large gourmet kitchen with granite counters, breakfast bar and eat-in kitchen, walk in pantry and a butlers pantry. Directly off the kitchen is the family room with fireplace, formal dining and living rooms and private separate office. 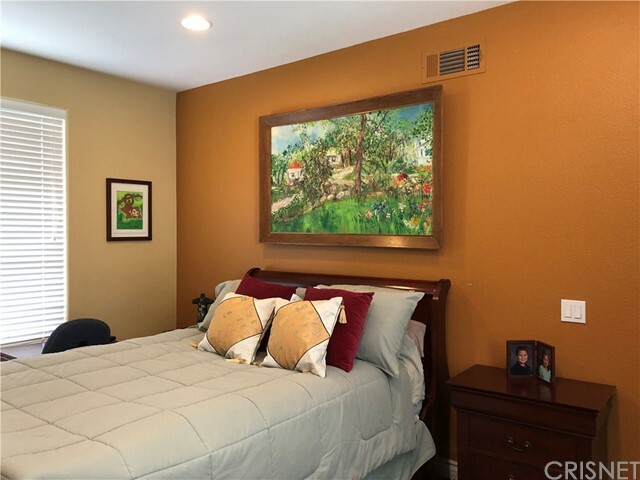 Upstairs has a terrific layout with Jack and Jill bedrooms and an additional bed"
"THIS DOS VIENTOS HOME IS LOCATED ON A SMALL CUL DE SAC STREET SURROUNDED BY NATURE. THIS UPGRADED HOME HAS AN OPEN & SPACIOUS FLOORPLAN FILLED WITH NATURAL LIGHT FROM AN ABUNDANCE OF WINDOWS. THE FORMAL LIVING & DINING ROOM HAVE CATHEDRAL CEILINGS & FRENCH DOORS THAT OPEN TO THE SPACIOUS SIDE YARD. FIRST FLOOR MASTER BEDROOM WITH SLIDING DOORS TO THE SERENE BACKYARD WITH NATURE VIEWS. DUAL SINKS, SPA TUB & SEPARATE OVERSIZED SHOWER COMPLETE THE MASTER BATH. 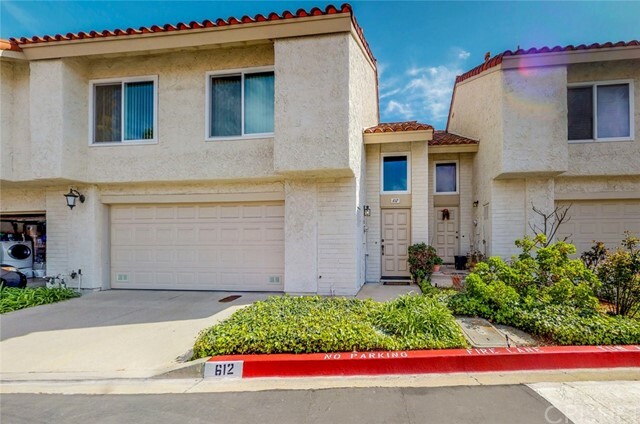 UPSTAIRS HAS THREE BEDROOMS WITH WALK "
"Stunning one story Concerto home in the wonderful community of Dos Vientos. With over three thousand square feet, this home has three bedrooms and and office/craft room that could be converted to a forth bedroom. The large master bedroom boasts a gorgeous master bathroom and walk in closet. Beautiful travertine tiles greet you upon entering and throughout this lovely home. The large kitchen has an eat in area, stainless steel appliances, granite countertops and a gorgeous custom range hood. The "
"A cozy, family home with an open floor plan. The kitchen includes a spacious island, double ovens, a desk area and is open to the breakfast and family rooms. There are 4 bedrooms, 3 full baths, an office, and a mudroom. Master suite includes walk-in closet and mountain views. Wood floors throughout most of the home. Private backyard with a built-in BBQ and other amenities. Gas powered fire pit with seating." 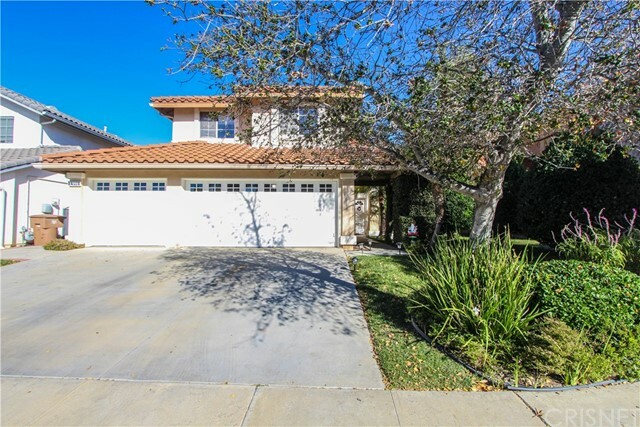 "Welcome to this updated immaculate two-story with 5 bedroom and 3 bathroom home in exclusive Dos Vientos! 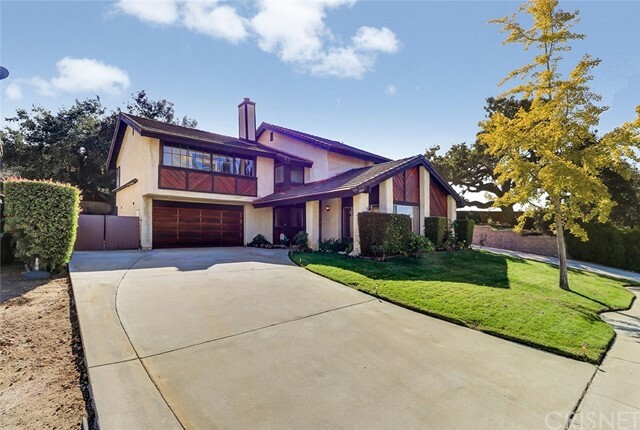 This beautiful home offers elegant light and bright California lifestyle of living. The open foyer leads you to an airy living room with a fireplace, formal dining place. The adjacent family room connects to the impeccable kitchen includes granite counter tops, center island, Walk-in pantry. There is one full bedroom and bathroom downstairs. A graceful curved staircase leads to the 2nd floor"
"Best price in the neighborhood! Run don't walk! Come take a look, you will not be disappointed. 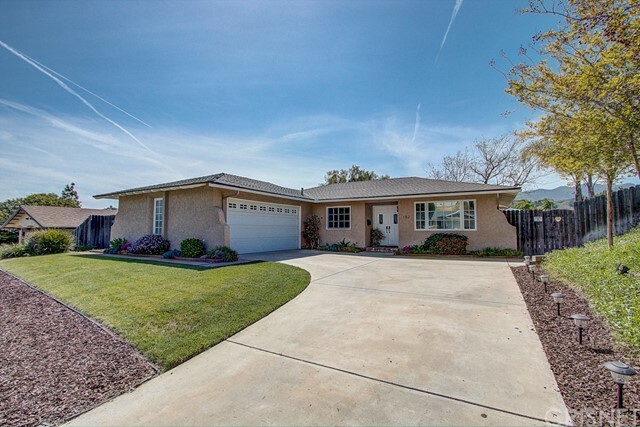 This well-maintained property is nestled in the immaculate Rancho Conejo Guard Gated Community. 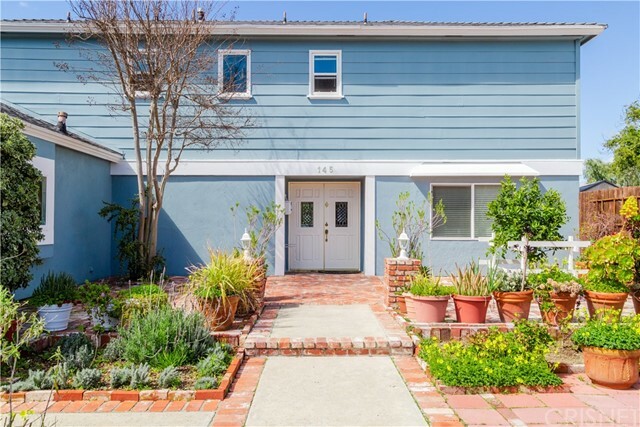 Superior cul-de-sac location with easy access to the 101 freeway, Amgen Campus, Oaks Mall and coveted Blue Ribbon Schools. Enter this light and bright elegant home and you will be amazed by the sweeping staircase and formal living room. Stunning first floor separate family room with warming gas fireplace. 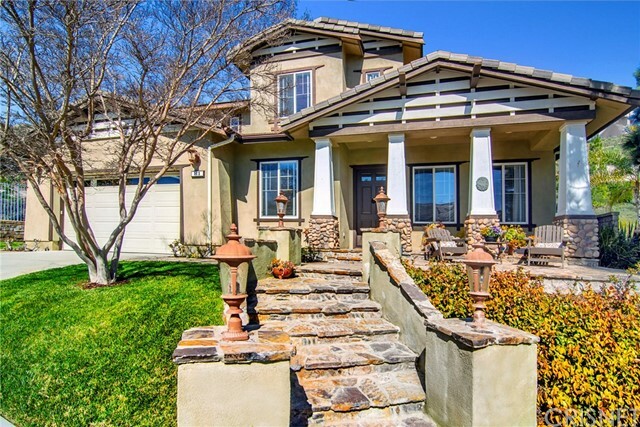 O"
"Welcome to this beautiful 24-hour guard gated Rancho Conejo Newbury Park home. This bright, open two-story house in a prestigious community has everything you are looking for. Featuring 5 bedrooms and 3 bathrooms with one bedroom and one full bath downstairs. The entry has a soaring ceiling and the wide-open floor plan is adorned by numerous supersized windows providing tons of natural light. High ceilings and recessed lighting throughout, formal dining room, formal living room with custom firep"
"Location, Location, location. The *PRETTIEST* Single Story Home in the neighborhood. 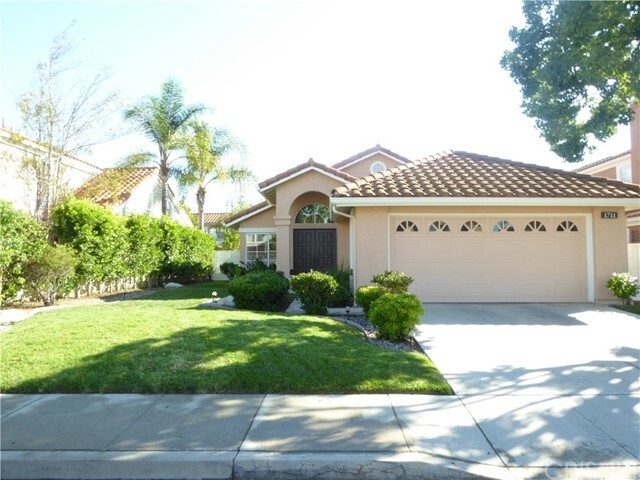 Fabulous Rancho Conejo Home in 24 hour guard gated community, with 3 spacious bedrooms, 2 bedrooms, Sq 1565 and Sq 5528 Lot size. Bedrooms and Bathrooms are updated with newer tile flooring. Master suite features sliding doors to backyard, large walk-in closet, separate shower, bathtub, skylight, and newer tile flooring. Elegant living and dining room with plantation shutters, marble fireplace with custom bevele"
"Unique Fox Meadows home which includes upgraded kitchen and bathrooms, new roof, approximately 400 square foot room addition downstairs with en-suite bathroom. 2 secondary upstairs bedrooms converted into one large bedroom with en-suite bathroom. (can be converted back at buyers expense if preferred). Entertainers backyard includes built in barbeque, pool, and spa with solar heat, grass turf, firepit, fountain, and large side yard. This is a can't miss property!" 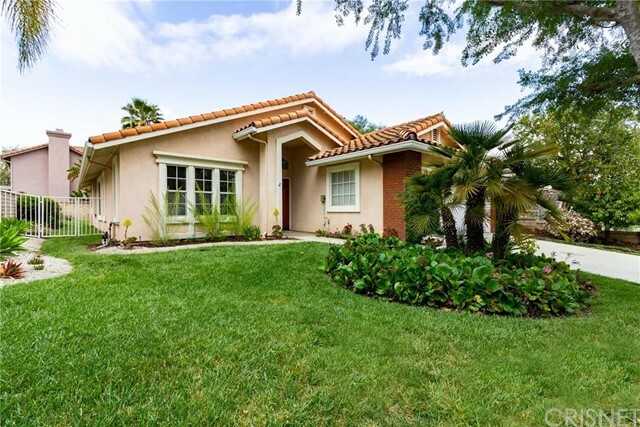 "A charming single story home located in the private, guard gated community of Rancho Conejo. Clean and well maintained this home has been freshly painted inside with new flooring installed! You enter into the large great room- combined living and dining areas with vaulted ceilings that is a perfect space for entertaining. The kitchen, with an eat-in area and center island has a gas cook top with extra storage, opens to the family room. The family room has a cozy fireplace and direct access to th"
"The property you have been waiting for!!!! 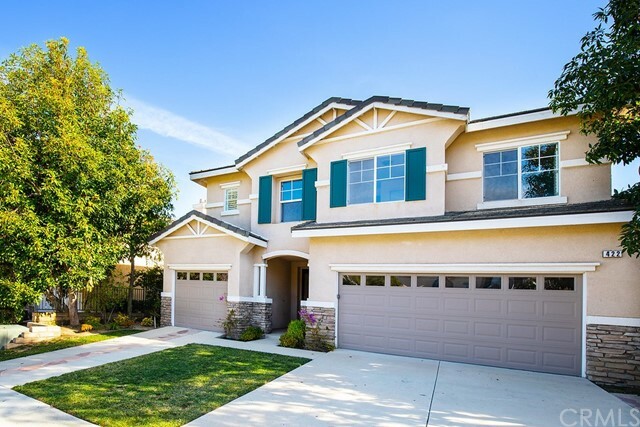 This beautiful two story home is located in a prime Newbury Park neighborhood. 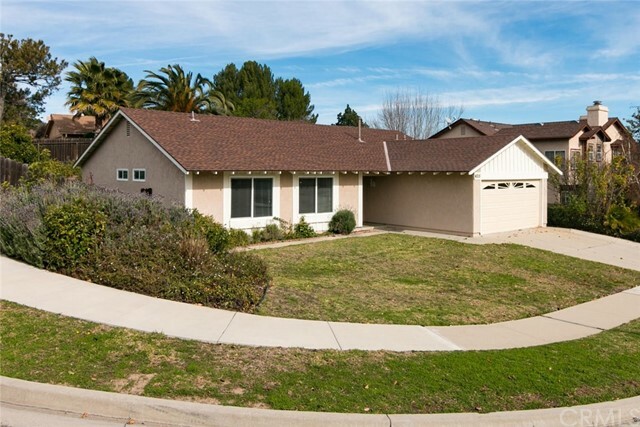 With 5 bedrooms and 3 bathrooms this home is perfect for a large family. One bedroom and bathroom downstairs which is great for guests or elderly parents. All windows are double-panel vinyl tinted and two sets of patio doors reduce UV rays, virtually seal out ambient noise as well. Beautiful fruit bearing trees in the front. The backyard has a heated lap pool/spa with a breat"
"Back on Market and MAJOR PRICE REDUCTION! 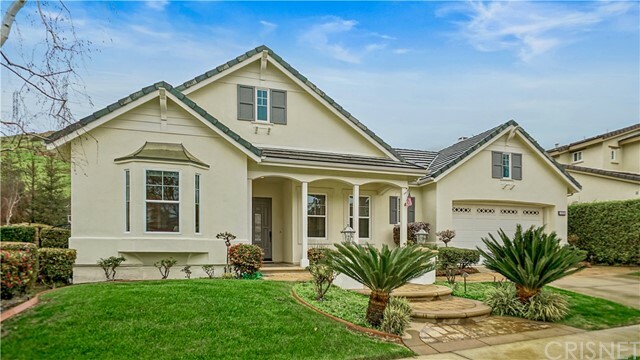 Located in a tranquil pocket of Thousand Oaks/Newbury Park borderline, this spacious 4 bedroom, 2.5 bath home offers high ceilings, solid hardwood floors with open living areas. Great flow and use of space. Homeowners hosted many parties and family gatherings! Kitchen and family room lead out to the beautiful HUGE backyard for indoor/outdoor entertaining and family fun. Retractable awning and heat lamp on patio insures alfresco entertaining all year roun"
"Beautiful two story home, situated on Casas De la Senda neighborhood, with 4 bedrooms and 3 bathrooms, 2 car attached garage, with swimming pool. One bedroom on the first floor. Has citrus trees. Few blocks from Newbury Park High School. It has a community pool, tennis court and basket ball court. Homeowners association is under $100VacantGO DIRECT supra lock box by the front door on the right side, on the hose bib.."
"Welcome to this stunning upgraded single-story home on an over 13,000 square foot lot showing the ultimate pride of ownership. 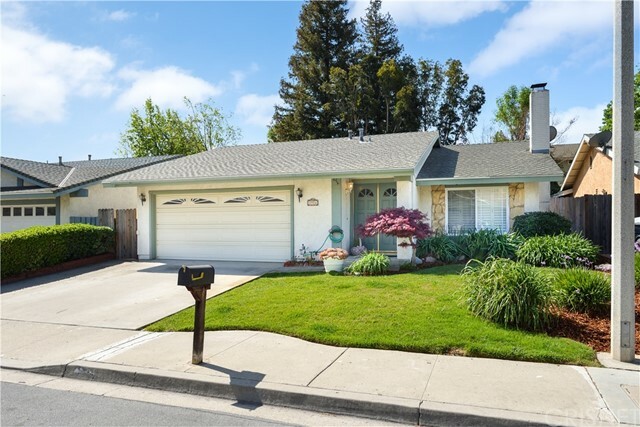 This amazing home features newer carpeting and laminate floors throughout, custom paint, recessed lighting, modern fixtures, dual-pane windows, and custom baseboards. The kitchen boasts stainless steel appliances, granite countertops, stainless steel sink, and dining area. The spacious bedrooms feature ceiling fans and crown molding, and the master suite has a custom pla"
"Subject to cancellation of escrow, looking for offers! 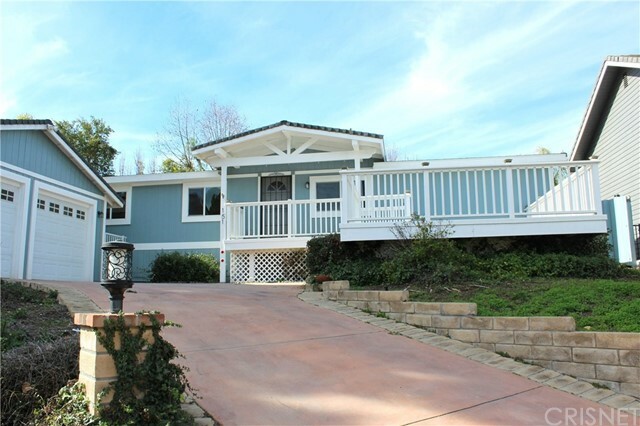 You will Love this charming 4 bed 2 bath home just steps away from the Santa Monica Mountain trails! The spacious open-concept floor plan is updated with hardwood-like laminate flooring throughout the living areas, stylish light fixtures. The Kitchen and dining area are tiled and spacious with a breakfast bar, granite countertops, Stainless steel gas range, dishwasher, and overhead microwave. Step out from the living area through the sliding"
"PICTURE PERFECT!! An enchanting secret garden lends to the appeal of this charming single story home near the end of a desirable Casas de la Senda cul de sac. An incredible sun room (added with permits) features vaulted ceilings and a 180 degree view of the surrounding gardens replete with a lovely petite bridge, mature Melaluca and Redwood trees, a dry-bed pond area, and a built in barbecue island. This is an ideal setting for those who appreciate a serene woodlands retreat! Just recently renov"
"BOM! REDUCED!! Newly renovated manufactured home on land. This adorable and cozy 3+2 offers an open concept floor plan with kitchen over looking dining and living areas. Renovations include new kitchen with newer appliances, flooring, a/c unit, water heater, updated plumbing and electrical wiring, re-finished front deck. In addition, both bathrooms have also been updated. Laundry is located inside off the kitchen in its own space with access to the private backyard space which is perfect for sma"
"Fantastic Mid Century Modern. Single story. Original owner since 1964. Needs updating. So much potential! Huge yard big enough for a pool. Corner lot. Concrete patio in good condition with overhang. Yard big enough for parties! Fully fenced with concrete block wall. Fruit trees in the backyard. Family friendly design. BONUS! Dual Pane windows installed throughout. Garage looks big enough to hold a Cadillac Fleetwood or your toys. Short walk to Borchard Community Park; less than a block. Close to"
"Rare, 1550 square foot Green Meadow townhouse with large open family room area with vaulted ceilings and gas fireplce. Kitchen includes eating area with ceiling fan. 2 bedrooms and full bathroom on mid-level floor with amazng mountain views. Private master suite on top level. Backyard features large patio area with planters and hardscape. Community boasts expanive greenbelts, plenty of guest parking, and is close to freeways, shops and restaurants. Don't miss this unique opportunity."